Engines get hot when they run. This heat can build up and damage vital engine parts, so engines need a cooling system to keep them running. Cooling system failure is the most common mechanical failure in vehicles. This is unfortunate, because these failures are usually easy for Huntington Beach car owners to prevent. The radiator is the best-known and most recognizable part of the cooling system. Hoses filled with coolant (also known as antifreeze) connect the radiator to the engine. The coolant draws heat from the engine, and then flows to the radiator. Air passing through cooling fins on the radiator cools the coolant. The coolant then cycles back into the engine to start the process over again. The most critical component of the cooling system, however, is the coolant itself. A mixture of water and coolant/antifreeze helps keep it both from freezing and from boiling away. Either can result in serious engine damage. Different engines require different types of coolant/antifreeze. The owner’s manual will list what kind a vehicle requires. Using the wrong type or mixing different types of may void the warranty on the cooling system and may damage it as well. Insufficient coolant can lead to engine failure. Coolant levels need to be checked regularly and topped off as necessary. If coolant levels drop quickly or consistently, the cooling system should be inspected for leaks. Coolant/antifreeze contains additives that protect the radiator and other coolant components from rust, scale and corrosion. Over time, these additives are depleted, so it is necessary for Huntington Beach auto owners to replace coolant at specified intervals. Changing coolant should be part of routine preventive maintenance for any vehicle. This service is often ignored, though, since old coolant still cools the engine. Vehicle owners don’t realize there is a problem until the system fails. They are left with major repairs and possibly a damaged engine, which could have been prevented with a cooling system service at Beach Benz in Huntington Beach. If your sedan sends a warning message to check its coolant or if the temperature gauge is reading in the red or hot zone, then the cooling system needs a diagnostic examination. This service is important and should not be put off since the potential for damage is high. In an emergency situation, water or antifreeze can be added to your sedan so that it can be driven to a service center for proper car care. For this reason, owner’s manual contains instructions for how to top off insufficient coolant – allow 45 minutes for the engine to cool before attempting to add coolant or water. However, the fluid should be added to the coolant overflow bottle, not to the radiator itself. Removing the radiator pressure cap can result in severe burns. Topping off in an emergency, however, does not fix the problem. The vehicle should immediately be taken to your Huntington Beach service center or Beach Benz where they can inspect the cooling system, repair any leaks, and clean it if necessary. They can identify what caused the emergency situation in the first place and ensure it doesn’t happen again. Regular maintenance of a vehicle’s cooling system is just good auto advice for Huntington Beach auto owners. Cooling system service is relatively inexpensive and doesn’t take long at Beach Benz. Lack of it, however, can put a vehicle in the scrap heap. Talk to your Beach Benz service advisor for more information. Your vehicle’s suspension system has two critical jobs: to prevent the passengers from getting tossed around inside the vehicle every time it hits a bump in the road and to keep the tires firmly planted on the road around every corner and over every bump. To see your suspension system, you’ll have to look under your vehicle. Anything that connects the wheels to the vehicle’s frame is part of the suspension system. They’re heavy-duty parts that work hard while you’re driving and take a lot of wear and tear. Because of this, you should have your friendly Beach Benz service advisor look at them once a year as part of your preventive maintenance routine. A good time for an inspection is every time you get your alignment checked. If your suspension is in trouble, you often feel it in how your vehicle drives. If the vehicle pulls to one side or wanders, if the steering is erratic, if your ride isn’t as smooth as it should be, or if your vehicle handles poorly, you should get a diagnostic examination of your suspension system. Uneven tire wear can also indicate worn parts in your suspension system. If your shocks are leaking oil then they definitely need to be replaced. All in all, if you don’t feel in control when you’re driving, go get your suspension inspected. Shocks and struts wear out. Wheel bearings may need to be repacked every few years. Some parts of your suspension may need to be lubricated whenever you change your oil. Preventive maintenance is the key to keeping your vehicle under control. Good car care can prevent accidents for Fountain Valley auto owners. If you are in an accident, even a minor one, it can damage your suspension system or knock your wheels out of alignment. Even hitting a curb, pothole or large rock can damage your suspension. A wheel balancing or alignment won’t correct a suspension problem, and after any suspension work, you’ll may need to get an alignment. At Beach Benz, we advise Huntington Beach auto owners never to procrastinate important repairs to their suspension system. A damaged suspension system can lead to loss of control of a vehicle in an emergency situation and serious accidents. Potholes are unsightly nuisances around Huntington Beach, but they’re also a major cause of suspension damage for Huntington Beach motorists. To avoid this, Huntington Beach car owners should always keep their tires properly inflated. This gives the tires maximum resiliency. When you’re driving around the Fountain Valley area, avoid potholes if possible. If you can’t avoid one, then slow down before driving over it. Slower speeds limit pothole damage. But if you’re a little late detecting a pothole, don’t brake on top of it. This will throw the vehicle’s weight forward and increase the damage. The suspension system may not be pretty to look at, but it provides Huntington Beach auto owners with a safe, comfortable ride — as long as they maintain it properly. You don’t have to show it off, but you should be proud of it. If you’re interested in customizing the wheels and tires on your sedan, there are a few things you should know first. Most importantly, the wheels you buy need to fit your vehicle. Not all wheels are created equal. Too many Huntington Beach car owners have bought a set of wheels that caught their eye, then, after going to the work of mounting them, have found that the wheels don’t fit right and the tires rub against the sedan when they turn or go over a bump. To ensure a proper fit, you can consult with your Beach Benz tire professional. He/she can also help you find tires that are suited to your driving habits as well as your sedan. You may find their auto advice invaluable, and you’ll probably be happier with your new wheels once you purchase them. But if you just have to have that set of wheels, and you’re willing to pay for them, you can modify your vehicle to fit the wheels. Again, you should seek a knowledgeable Fountain Valley professional’s help ahead of time. For example, if you want a bigger set of wheels on your pickup truck, you can get a suspension lift so they will fit the truck. A professional Huntington Beach custom wheel shop can help you get the work done right. The anti-lock brakes and stability control system on your sedan are engineered to work with a particular height of tire. This is another reason car owners should be careful when purchasing custom wheels in Huntington Beach. The new wheel and tire combo needs to match the height of the tires that came with your vehicle. Your car’s computer gauges your speed by the revolution of your tires and sends commands to the brakes and traction control based on that speed. If you put larger or smaller tires on your sedan, your computer is calculating the wrong speed and, consequently, sending incorrect commands to the brakes and traction control. This can have serious consequences as it may result in costly damage to your vehicle or, worse, an accident. If you change the size of your wheels, you need to get your engine’s computer reprogrammed at Beach Benz to accommodate the new tire size. New wheels shouldn’t just fit your vehicle, they should also fit your lifestyle. There are hundreds of styles and sizes to choose from. You should do a little research about which wheels and tires will best fit your personality, give you the performance you want, and meet your handling needs. We’re not saying you shouldn’t personalize your ride, we just want you to be happy with the result. Talk to us at Beach Benz in Huntington Beach. After all, good car care isn’t just about preventive maintenance. It’s also about making good choices. The team at Beach Benz in Huntington Beach and California car owners are all talking MPG right now. Better gas mileage. Fewer emissions. Huntington Beach car owners want to save the environment and their pocketbooks. And we all know—or should know—that preventive maintenance will help maximize fuel economy. But is there something more Huntington Beach motorists can do? After all, some of us Huntington Beach folks can’t cut back on our driving, and others would like to do more to economize. Weight is one major enemy of fuel economy. The more you lug around in your vehicle, the more fuel you have to burn to get from Huntington Beach to Westminster. And that means buying more gas in Huntington Beach and producing more emissions. Of course, your sedan’s weight isn’t negotiable. And you can’t do much about the weight of your passengers. And this isn’t an article about diet and exercise. But look around your sedan. Are you hauling a bunch of unnecessary weight around California? Do you really need your golf clubs every time you leave your Huntington Beach home? Store sports equipment in the garage. Load it when you need it and store it when you don’t. Who knows? The extra exercise just might reduce the other type of weight in your vehicle. The same goes for anything else in your car: make-up kits, music collections, extra electronics, spare clothing; whatever your particular extras may be. Pack it when you need it; store it when you don’t. Clean out your Huntington Beach. You’d be surprised how much weight you’re lugging around Huntington Beach in plain old junk. Toss old papers, leftover food, and regular old dirt. Even if it’s not a lot of weight, you’ll feel better when you get into your car. A good cleaning is also part of good car care. Now, don’t toss stuff you really do need. You do need that spare tire—the one in your trunk. And a kit of emergency essentials is not a bad idea. But just carry around the day-to-day essentials. You can pack a more extensive kit and store it in your garage, then toss it in your Huntington Beach when you go on a longer trip, but you don’t have to lug it around all the time. After all, are you a driver? Or are you a junk chauffeur? Lose the junk and save some money in Huntington Beach. The timing belt rotates the cam shafts which open and close the valves that allow air, fuel, and exhaust to flow through the engine as it powers your car. An old timing belt can lose a “tooth” in the belt allowing it to slip. The engine could stop or misfire. Timing belt slip – or a broken timing belt – can be disastrous on some engines. In “interference” engines, open valves can get in the way of the piston when the timing belt breaks or slips. When that happens one or more valves can be bent requiring expensive engine repairs. It is critical for Huntington Beach motorists to replace their timing belts as recommended in their owner’s manual to avoid unnecessary breakdowns. Ask the team of professionals at Beach Benz in Huntington Beach if it’s time for your timing belt to be replaced. 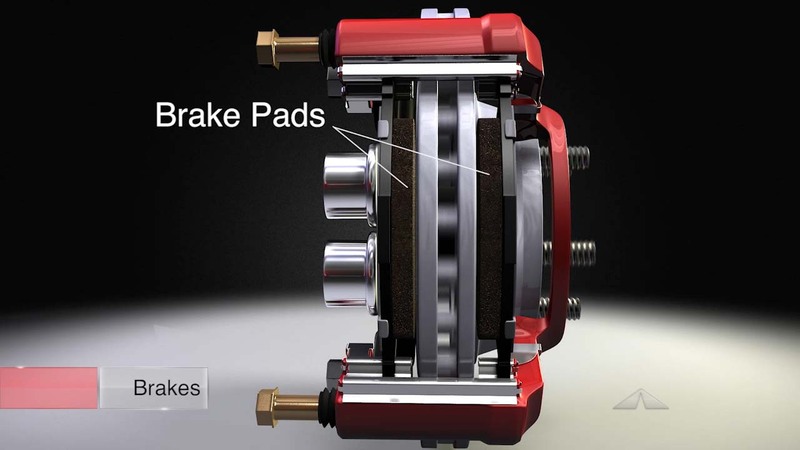 Your brake pads are the critical parts that rub against the rotor (or disc) to slow and stop your car. They eventually wear down. That’s when Huntington Beach motorists should replace their brake pads. Not only will new pads restore your stopping power, but replacing them on time will prevent damage to the rotor. If your brakes are making noise, ask your Beach Benz service specialist to check your brakes. Addressing troubles early will restore your safety and prevent expensive brake damage. Have you checked out the price of new vehicles at Huntington Beach car dealers? Ouch! Add financing and insurance and – well a new ride may not seem so attractive. A lot of Huntington Beach, California folks are hoping to make their cars last a lot longer. Fortunately, with the current state of automotive engineering and manufacturing, there’s no reason a modern vehicle can’t be made to last for a 150,000 miles or more for smart Huntington Beach car owners. The old adage: ‘a stitch in time saves nine’ is really true for Huntington Beach auto owners when it comes to car maintenance. A great example is coolant service. 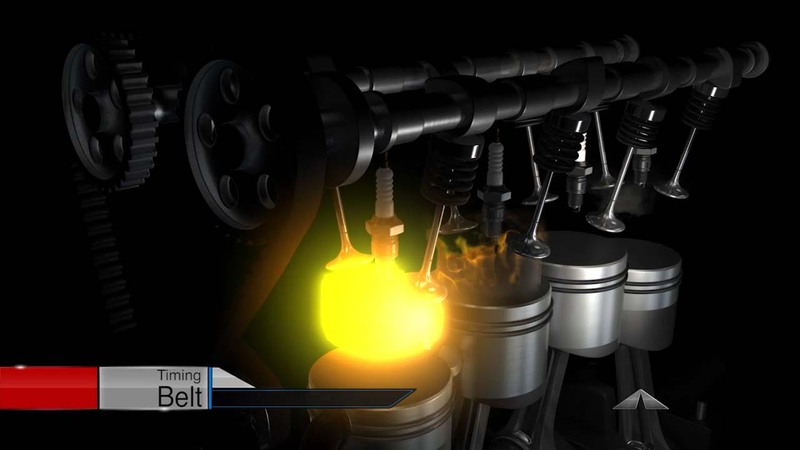 Over time, coolant becomes corrosive and actually starts to damage your radiator and other parts. Smart Huntington Beach car owners have their cooling system service taken care of right on schedule. Ditto for your power steering system, brake fluid, air conditioning system, differential and transmission. Of course, oil changes should be done right on schedule to avoid the build-up of harmful oil sludge. Don’t let your brake pads go too long before they are worn to the point that your rotors are at risk. Preventative auto maintenance at Beach Benz is a great way to keep your operating costs down in Huntington Beach. Replacing belts and hoses is much cheaper than repairing the expensive damage that can be caused by failure. We know that this is a lot for busy Fountain Valley area drivers to remember. Let the team of automotive professionals at Beach Benz keep on top of this stuff for you. We can tell you what your vehicle manufacturer recommends and help you develop an affordable plan to take care of it. Bottom line – do routine maintenance on schedule and you will reduce operating costs, prevent expensive repairs and maintain your warranty coverage. Call Beach Benz today for an appointment; you can reach us at 714 842-9816. Let us take good care of your car at Beach Benz in Huntington Beach, and it’ll take good care of you. Give us a call today at 714 842-9816. Unless you live in Death Valley, you really don’t hear much any more about cars overheating. That’s because cooling systems in vehicles have been much improved. That doesn’t mean you can’t overheat your sedan engine, though. Without proper preventive maintenance, you could still find yourself on the side of the highway in Huntington Beach waiting for your sedan engine to cool down. When you service your cooling system at Beach Benz, your tech will check the condition of the coolant. It can become corrosive over time, which can damage a radiator — leading to an overheated engine. Changing the coolant periodically is good car care. Your sedan owner’s manual can give you guidelines on how often to replace it. If your engine overheated, your friendly service specialist will also check your coolant system for leaks. Check the sedan radiator for cracks and the radiator hoses for leaks. He’ll also check your water pump. They don’t need to be replaced on a regular schedule, but they do need an inspection regularly. They can and do wear out. The water pump is a critical component of your sedan cooling system. It pumps the coolant to keep it circulating through the engine. The coolant is cooled in the radiator, then it travels through the engine, where it absorbs heat, then it returns to the radiator, where it releases the heat. And so on. But a water pump is something of a misnomer. The fluid pumped through your sedan cooling system is not just water. It also contains coolant, which is actually poisonous. You should never consider your radiator as an emergency water supply. There are many types of coolant. It varies from vehicle to vehicle, and using the wrong kind could damage your engine. Your service professional will know which kind your vehicle’s manufacturer recommends. The team of automotive professionals at Beach Benz is always a good source for auto advice. We’ve been providing quality automotive services at our convenient location in Huntington Beach for 20 years. Keeping your cooling system in good repair will help keep your engine running well, and keep you out of the Fountain Valley repair shop. This means that a regular cooling system inspection should be on your schedule for routine preventive maintenance of your vehicle. Your owner’s manual will tell you how often you need to do this. It varies depending on what kind of car you drive, what type of driving you do and where you live in California. At Beach Benz, we help you keep your cool which will keep you in the driving lane. So you have some exciting plans for the California weekend. You’re going to take some of your Huntington Beach, California friends out on the boat for some water skiing. Of course, you’ve gotten the boat all ready. And you haven’t forgotten about your tow vehicle. You’ve gassed it up and even vacuumed it out. However, there is something even more vital than the cleanliness of the interior: you want to make sure that your sedan maintenance is up to date. Think about it – heavy freeway traffic on the way out of Huntington Beach. There’s hilly terrain as you get to the lake. Some dirt roads – and it’s going to be pretty hot in Huntington Beach this weekend. And all the time you’ll be towing around several thousand extra pounds. That all adds up a lot of severe strain on your engine, brakes and transmission. Let’s just consider the transmission. It’s going to be working overtime, spending more time in lower gears. The internal transmission temperature is going to be much higher than normal. A fun little blast to the local California lake for you is really severe duty for your transmission. It’s important to have enough transmission fluid. If it runs low, the transmission will run hotter and won’t have the protection it needs to cope with the added stress of towing. Transmission fluid breaks down and gets dirty over time. Whether you have an automatic or manual transmission, it’s critical for Huntington Beach car owners to have it serviced by automotive professionals like the team at Beach Benz in Huntington Beach to make sure it runs efficiently. An automatic transmission contains a maze of passages through which the fluid must pass to keep it shifting smoothly. Huntington Beach motorists who neglect regularly scheduled transmission service risk the passages clogging up and starting to have problems. Huntington Beach drivers who neglect their transmission for too long will eventually experience costly transmission failure. You really don’t want to pay for a major transmission repair. This reminds us of how much of our driving around Huntington Beach, California is under severe conditions. Towing or hauling a big load is obvious, but there are lots of other things that constitute severe driving conditions. Things like short trips, driving in very hot or very cold California weather. Dusty roads and city driving around Huntington Beach, California add to the strain. Basically, any driving that’s not at highway speeds or under ideal conditions. While you have your vehicle in, ask for a trip inspection. Your tech at Beach Benz will check your belts and hoses and let you know if your brakes are in good shape.